A significant policy was reversed during a vote with the members of the U.N. Human Rights Council. The importance of the vote, and what was voted against has high significance, especially in regards to the nation of Israel. 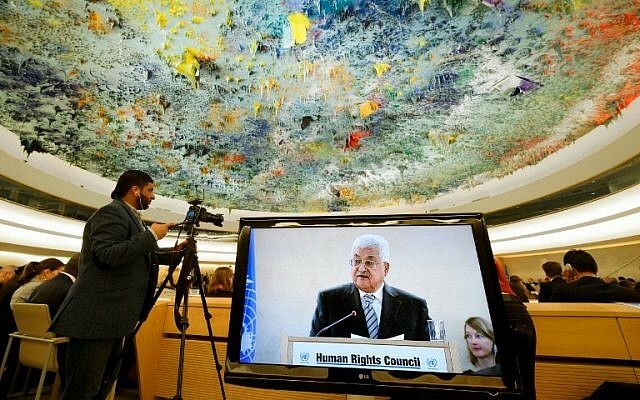 All of the European Union member states of the U.N. Human Rights Council, including both Japan and Brazil, took a stand and voted against item 7, a policy that singled out one nation – Israel. Last year, the United States pulled out of the Human Rights Council. Nikki Haley, then US envoy to the UN, called the Council a “cesspool of political bias.” Item 7 comprises four resolutions. One of them states the Council is “deeply concerned at the suffering of the Syrian citizens in the occupied Syrian Golan due to the systematic and continuous violation of their fundamental and human rights by Israel since the Israeli military occupation of 1967.” It does not mention the wholesale slaughter of Syrians by their government and other forces involved in fighting in Syria. No Comments on "In first, EU states vote against permanent anti-Israel item at UN rights council"